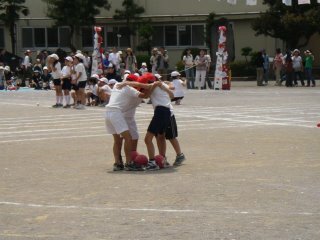 I heard my American friend, does not like sports day, who is a teacher in Japan. Students are suppose to practice for sports day. And they have to practice every day. My American friend said sometimes her child was fed up with doing the having the same practice. I agree with her view. Doing the same practice every day can be boring, I agree. But excercises are important. In Hungary school kids do not have sports lessons in every day, which is a shame. Now kids and adults alike spend too little time doing sports. Thease days, I can't have any time to do sports. It is no good for me.